BoxId: 504184 – Eurocopter's EC145 helicopter: 500 deliveries and still going strong! Eurocopter's EC145 helicopter: 500 deliveries and still going strong! The 500th EC145 helicopter was delivered by Eurocopter today, marking a new milestone for this twin-engine workhorse rotorcraft that continues in high-rate production for international customers. Eurocopter's 500th EC145, along with the 501st production helicopter, were provided to Transportes Aereos Pegaso, which is the largest Mexican operator in the Gulf of Mexico. Pegaso already operates 13 EC145s and four of the predecessor BK117 versions, with an additional EC145 to be provided to this customer in May. 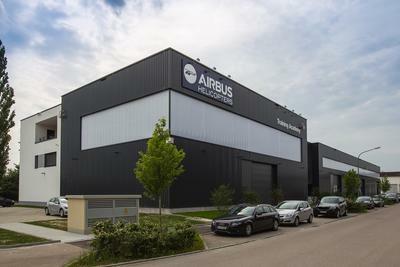 Delivery of the 500th EC145 occurred at Eurocopter's Donauwörth, Germany facility, where the helicopter is built. The handover comes 10 years after Eurocopter's delivery of the no. 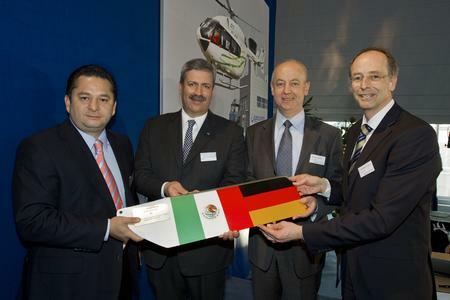 1 EC145 in April 2002, and it was witnessed by Francisco Nicolas Gonzalez Diaz, the Ambassador of Mexico in Germany, along with political and industrial representatives and some 600 company employees who have contributed to the helicopter's successful production run. "This delivery underscores the EC145's global success, which results from the capabilities and reliability designed into Eurocopter's helicopters," said Wolfgang Schoder, Eurocopter Executive Vice President Programs. "It is highly appropriate that we share the milestone with Pegaso - a longstanding partner of our company that also operates a Eurocopter-approved maintenance center for the EC145 and EC135 in Mexico." Pegaso's two EC145s delivered today will be used for the transportation of crews to offshore oil and gas platforms, and also are equipped for utility work. In addition to the EC145, Pegaso operates the BK117, BO105, EC130, EC135 and EC155. Pegaso also is a launch customer for the EC175. "We rely on the durability and performance of Eurocopter helicopters in our daily operations, with the EC145 assigned some of our company's most demanding missions," stated Pegaso CEO Enrique Zepeda. Dominique Maudet, Eurocopter's Executive Vice President Global Business and Services, underscored the long lasting relationship: "Throughout our thirty-year relationship, our technical and sales teams have worked closely with you to understand your needs and accompany your development wihile helping you optimize your fleet operations. 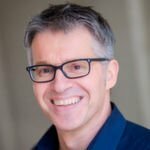 Eurocopter will continue to provide you with all of the solutions you need to further expand your business, including highly competitive helicopters with excellent rates of availability, as well as customized services." Eurocopter has delivered EC145s to some 100 customers in 38 countries, making it a helicopter of choice in the medium-size twin-engine category. Benefitting from its flexibility and versatility, this rotary-wing aircraft is used around the globe in a wide range of missions, including on-shore and off-shore airlift for the oil and gas industries, emergency medical services, police and public services, business and VIP transportation, along with a growing deployment for the maintenance of wind turbine fields. One of the largest EC145 operators is the U.S. Army, which has received more than 200 of the 346 rotorcraft planned for acquisition as the military service's UH-72A Lakota Light Utility Helicopter. The French government is operating 50 EC145s for police and public service missions of the Gendarmerie and Sécurité Civile. Main assets of the EC145 - a joint development of Eurocopter and Kawasaki Heavy Industries - are its mission versatility, safety, performance, cost-efficient operation and performance. Payload flexibility is provided by the large cabin and flat floor, with access provided through large side and rear doors. Powered by two Turbomeca Arriel 1E2 turboshaft engines, the EC145 has a fast cruise speed of 135 kts. and an endurance of up to 3.5 hours. 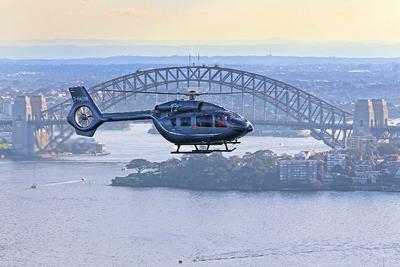 [PDF] Press release: Eurocopter's EC145 helicopter: 500 deliveries and still going strong!